Along what I like to call Tottenham Court Road’s Korean Street, lie several restaurants full of Korean restaurants and shops. Situated just outside the district’s station, it is probably one of the most perfect places to stumble upon if looking for an appetising Korean delicacy to indulge your taste buds upon. 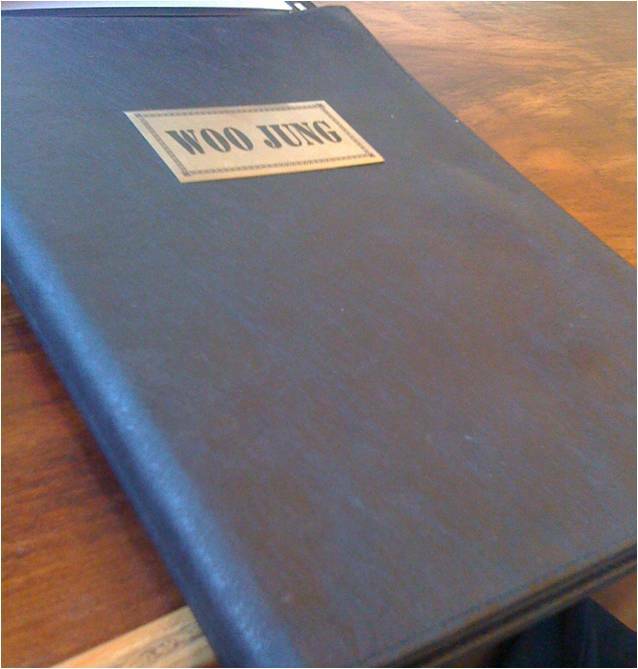 Subsequently, among those several restaurants, Woo Jung is one personally favoured to eat in, being quite simplistic in overall aesthetic layout, having the kitchen creatively set open at the back of the restaurant, however cooking far enough so you thankfully don’t leave smelling of food. After being seated immediately, the waiter came and took orders consisting of a Kimchi Pancake, Dukbokki and Naengmyun, price range being reasonable particularly if a student or a teen, it is of an affordable range of around £6-8 for a main. The waiters were kind and helpful being more than happy to even explain some of the dishes to the few friends dining along myself. Whilst waiting for our food to arrive in which waiting time usually consists of around 5-10 minutes being usually not very busy, Woo Jung are one of the many Korean restaurants to have an up-to-date K-pop playlist playing in the background whilst you eat, catching different Girls’ Generation, Sistar, Big Bang and even Super Junior songs on shuffle. The Kimchi Pancake was first to arrive following the other orders a few seconds later. 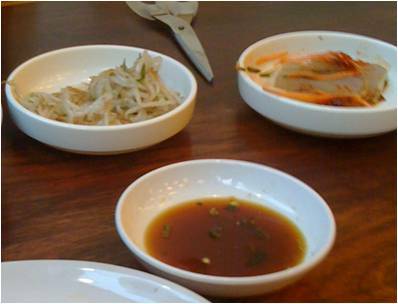 The dish, which is both delicious and of a filling portion, cooked to a supple crispy level, is appetising to anyone, vegetarian or non-vegetarian, served with a small bowl of a soy sauce mix to add some flavour to the pancake as well as soy beans and a small serving of kimchi on the side. The Dukbokki, also, served and cooked well, although the portion size is small and not completely filling, rice cakes were deliciously well cooked and even included a tasteful boiled egg in the dish. 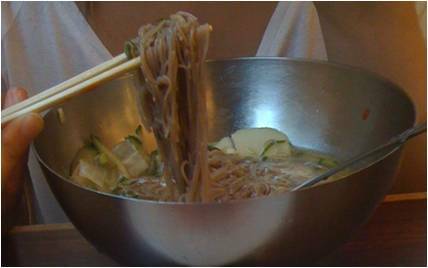 The Naengmyun (literally translating to cold noodles) was ordered as a chilled noodle soup bowl, served in quite a large portion, being a soup based dish, it proved quite tasteful even to someone who has never tried a cold dish before. Overall: The friendly atmosphere of the Korean waiters working there contributes towards the overall scene, always providing good service the multiple times dining there. Although small in size, it does its justice grandly in taste. It’s perfect if looking for a filling meal under £10 for your price range. I’d recommend it to any first time diners of the cuisine or just for the culture taste, literally and figuratively, and seeing it is 3 minutes from the station, perfect for a quick lunch bite and regardless it not being very luxurious, it surprises you as a lovely, quiet hidden-gem. Also check out this video which shows a lovely overview scene of the entire restaurant including some exclusive interviews from the chefs themselves about their creations upon classic Korean dishes!